Sprawled across the busy lanes of Old Delhi, in Daryaganj, everything changes on a Sunday morning where all the closed shops give way to the footpath market. Sunday is the busiest day for some, while most others retire and recoup for the weekend. Located on Asaf Ali Road till a bridge on Bahadur Shah Zafar Marg, the best time to reach here is around 10 AM because most of the shops are open for business by then. The nearest metro stations are Chawri Bazaar and Chandni Chowk; you can also alternatively get here by an auto or cab. The most important tip is to beware of pickpockets and keep all your valuables inside your bag. 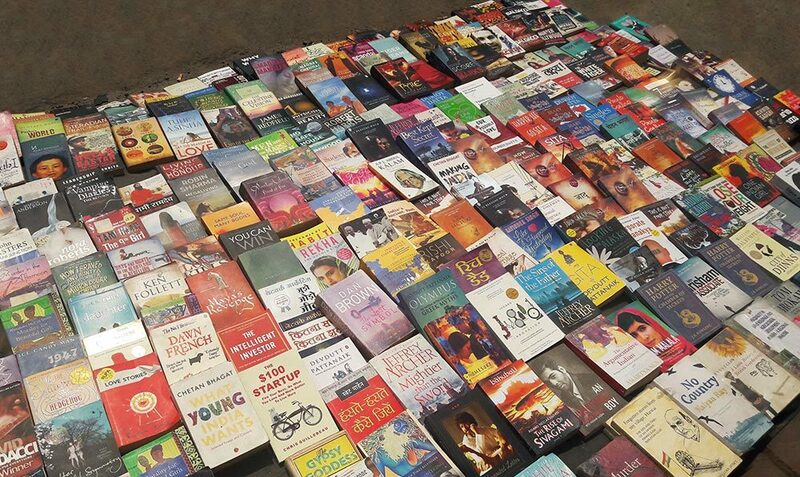 Whether you're a book lover or not, once you walk down the street, nothing can stop you from diving into the vast ocean of books lying across the length of the pathway. The books found here range from art, history and science to more contemporary themes in the fields of Architecture, Interior Designing and Fashion Designing. 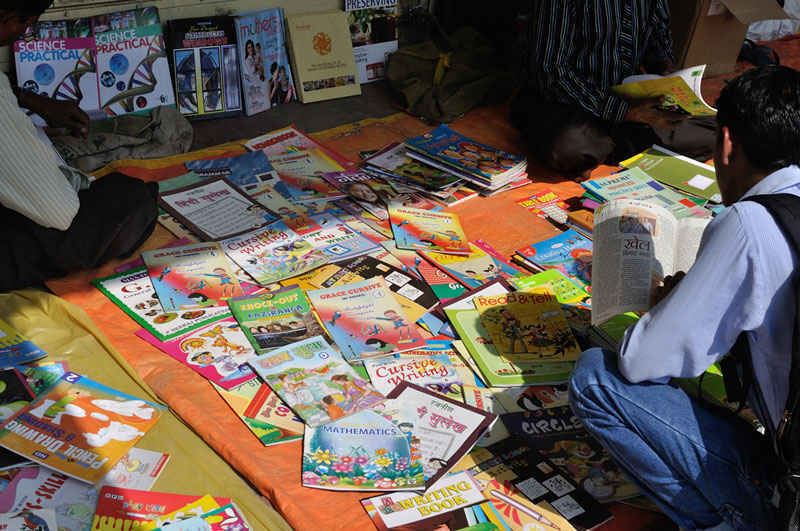 Apart from books, novels are in great demand here; there are novels by Indian and foreign authors. Again there is no certainty about the novels or books that you would get on a particular Sunday, but it’s worth taking the chance. You have to make way by pushing the crowds of people and it is considered okay to do so as you have no choice. The pricing depends entirely upon the shopkeeper’s knowledge of the books and its demand in the market; if you show yourself to be too needy, the price shall automatically go up, hence it's important to play it right. The trick is to be in command and decide a price; and bargain as much as you can. Sometimes, even the best of the best books are sold at even Rs 10! Normally students and their respective parents visit this place but it has much more to offer than just books. There are shops that sell old coins, stationary, crafts, paintings and day-to-day things at a cheap price. For music lovers, there are even certain shops open on Sundays, where you can get varieties of guitar, piano, drums and Indian instruments like tabla, veena and sitar. 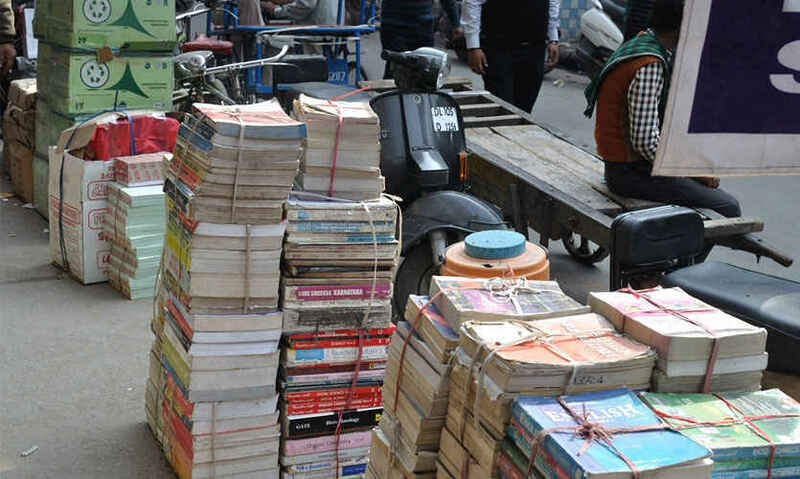 Nai Sarak is another book market in close proximity to Chawri Bazaar and the Chandni Chowk Metro Station. Here you will find first and second-hand books only related to school or college curriculums; the books sold here are of reasonably good quality. Nai Sarak is closed on Sundays but on other days one sees a gigantic traffic of people. The shopkeepers are very organized and knowledgeable. Apart from books, other medical lab or engineering equipment is also sold here. If you're a history buff, you would love moving through these busy lanes full of rich Mughal architecture. Once you're done with shopping, the djinns of your belly automatically take you to the nearest restaurants. Explore Chandni Chowk for its street food. Near Jama Masjid, Karim’s Hotel is an absolute delight. In Daryaganj visit Changezi chicken and Moti Mahal for Mughlai cuisine and Chor Bazaar for Kashmiri cuisine. Have we tempted you enough then? See you this Sunday!